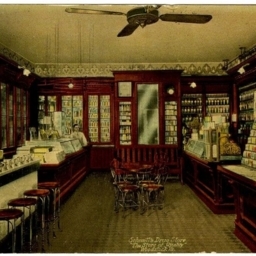 Interior of Walton & Smoot Drug Store, Woodstock, Va.
Color postcard with an interior picture of the Walton and Smoot Drug Store's original building in Woodstock Virginia. 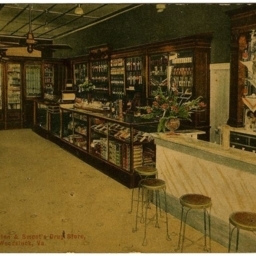 Interior of Walton & Smott's Drug Store, Woodstock, Va.
Color postcard with an interior picture of the Walton and Smoot Drug Store's original building in Woodstock Virginia. 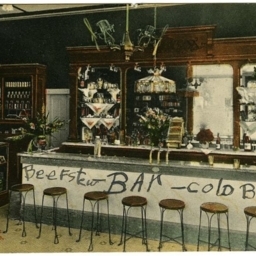 Includes hand written note "Beefstew-Bar-cold beer." 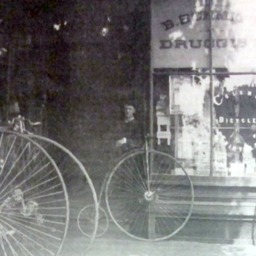 Schmitt's Drug Store, "The Store of Quality" Woodstock Va.
Color postcard with a picture of the interior of Schmitt's Drug Store in Woodstock Virginia. 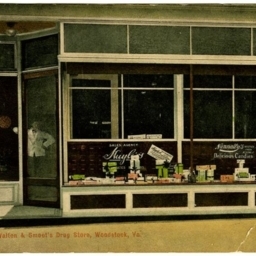 Interior of Walton & Smoot's Drug Store, Woodstock, Va.
Color postcard with a picture of the display windows at Walton and Smoot Drug Store's original building in Woodstock Virginia.